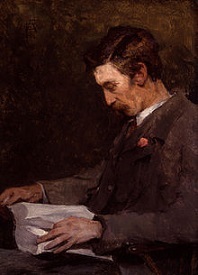 He studied with Léon Bonnat in Clichy, Paris from 1880 to 1882, then at the Lambeth School of Art, the Royal Academy and the École nationale supérieure Arts. 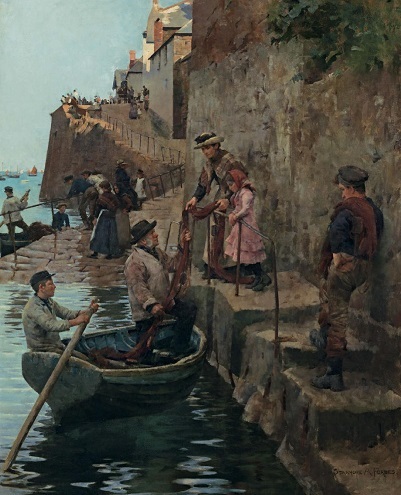 Forbes went to Cancale, Brittany and painted en plein air, which became a technique that Forbes used throughout his career. Perhaps, the open air technique provided the freshness which makes his paintings so attractive. Off to Skibbereen from Newlyn. 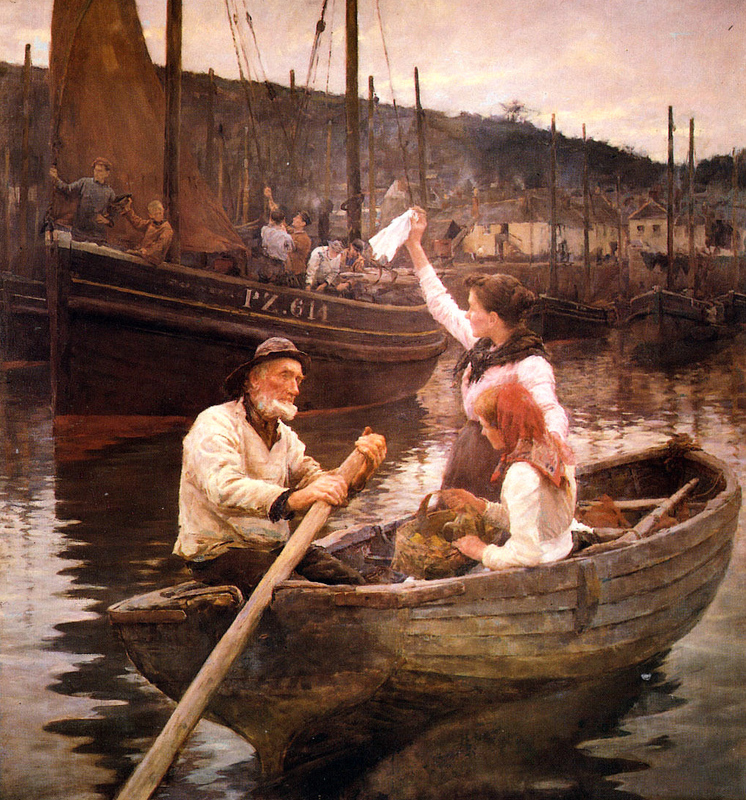 Forbes and his wife, Elizabeth, were the founders of the Newlyn school of painters who were based in Cornwall from the 1880s until the early 20th century. 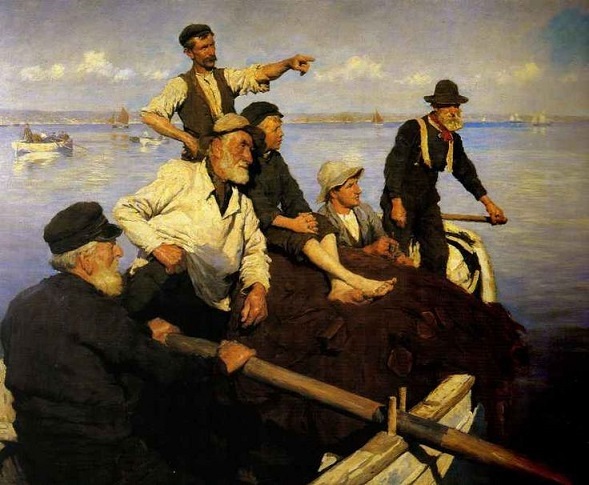 Many of the artist had trained in Paris and brought new ideas from there back to England, revitalizing the Victorian art scene. 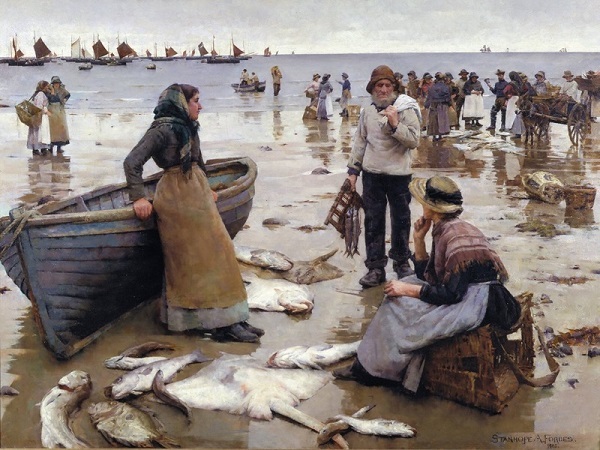 The artists were attracted to the Cornish fishing villages as they found the mild climate of Cornwall and the long hours of sunlight conducive to painting in the open air. 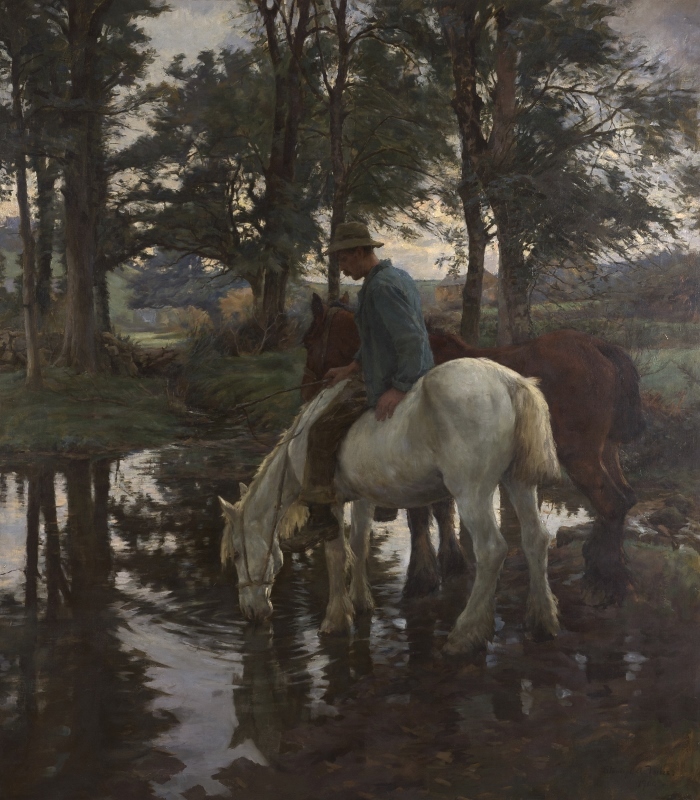 The artists also avoided the smog and stress of British cities. 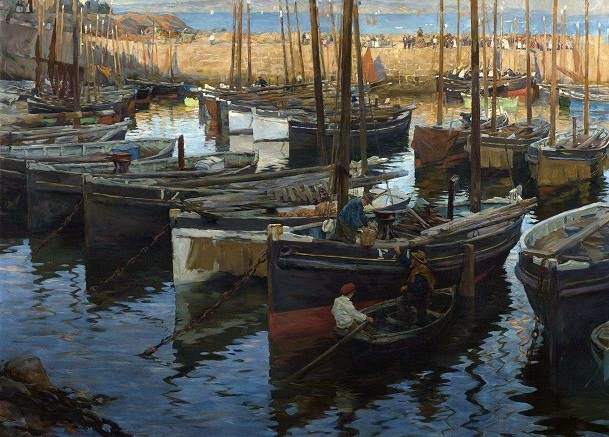 Furthermore, as the painting testify, there was no shortage of subject matter along the harbors and in the villages.